1. Objects that are created through a class reference cannot always be resolved. 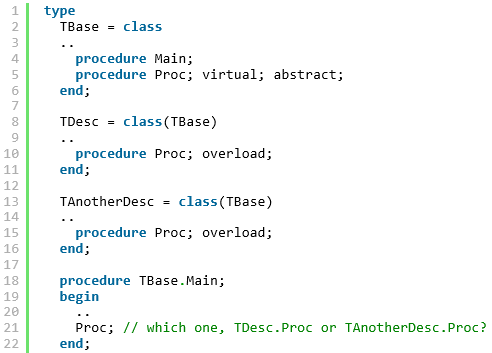 The reason for this is that the actual class used is determined at runtime. The actual usage of Proc is determined at runtime. 3. Assert calls are not excluded from the parsing process, unlike in Delphi, regardless if the $C- setting is active or not. This means that identifiers used in the Assert procedure call, will be registered, and appear in the reports. The parameter P will be registered and appear in the reports. 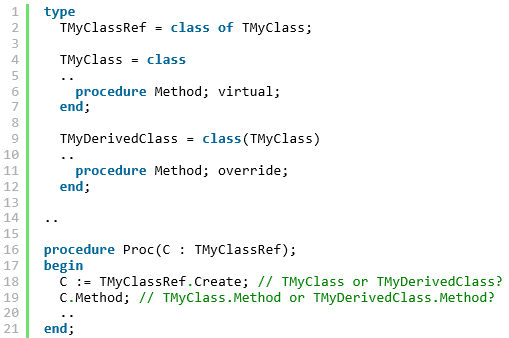 When compiled by Delphi, this code line will be stripped out if $C- is defined.